Construction of Burlington Emergency & Veterinary Specialists took 10 months. 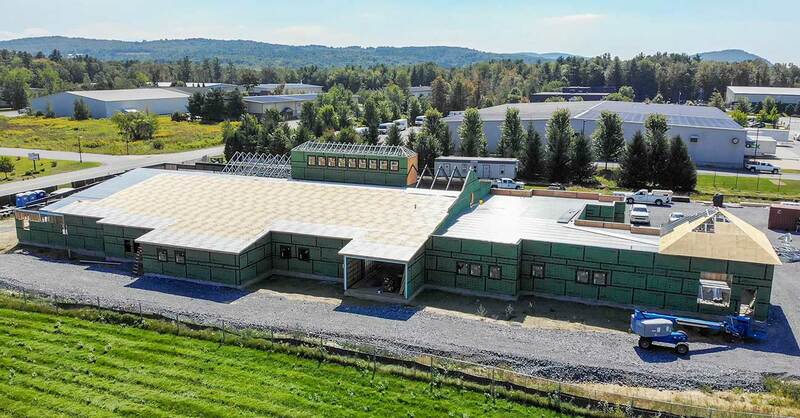 A northern Vermont veterinary hospital has moved into an 18,000-square-foot building featuring a dedicated intensive care unit, an oncology ward and three operating rooms. Burlington Emergency & Veterinary Specialists, which is open around the clock, counts four board-certified specialists among its 12 doctors: medical director Bryan Harnett, DVM, DACVIM; Elisabeth Zenger, DVM, Ph.D., DACVIM (SAIM); Joanna Schmit, DVM, MS, DACVIM (Oncology); and Mike McFadden, DVM, MS, DACVS. “It has been only 10 months since we broke ground to start construction on this beautiful facility for ill and injured pets,” Dr. Harnett said. A private cat ward with eight Fear Free-designed cages. A radioiodine (I-131) room with six feline suites. 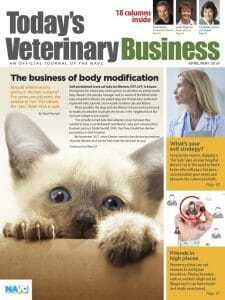 Rehabilitation services overseen by Pamela Levin, DVM, CVA, CCRT, CVPP. An underwater treadmill, acupuncture and low-level laser therapy are offered. A bereavement room with a private exit. Burlington Emergency & Veterinary Specialists promotes itself as Vermont’s only 24/7 veterinary emergency and specialty hospital.